Liked Parkour-inspired first-person action title Mirror's Edge? It's getting a sequel. Patrick Soderlund, senior vice president at EA Games Europe, admitted to game site VideoGamer.com that Mirror's Edge was not perfect by any means and EA would have liked the game to sell better, but the company was moving forward with a sequel of the "risky" title. 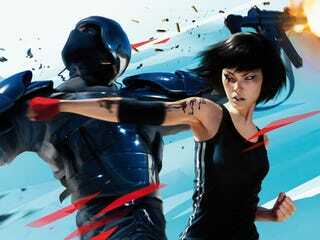 According to the exec, "You will see another Mirror's Edge for sure. It's just a matter of when that time is and what we do with it. We have a small team on it and I'm excited about what we do." Soderlund offered no further information about this previously unconfirmed sequel, nor did he offer a launch window for the title.